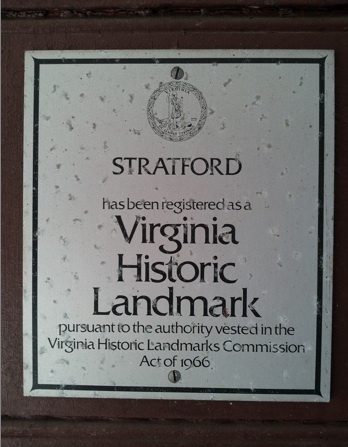 Have You Been to Stratford Hall? While I had been to Stratford Hall a couple of times for meetings, I hadn't had the chance to explore the place as a tourist until pretty recently. I was very impressed with it! It was much more elaborate than I had thought it would be. Just the Visitor's Center alone is a sight to behold, with it's two professional museum-like wings, one with video and narration and the other with incredible artifacts (check out the giant ancient fossilized shark's tooth!) and building elements like shutters, doors and fireplace mantles recovered from the site. Signs posted here suggest photography is a no-no, so you will have to come and take a look for yourself. July 20, 2013: Found in the cliffs at Stratford Hall: A one-thousand pound Baleen whale skull! It is one of the largest intact fossils of its kind ever found in Virginia! From the Visitor's Center, you cross over a huge deep gorge on a nice bridge which brings you to the Gift Shop and the Post Office. If you keep going straight, you'll see the signs for the Great House, and before you know it, you see it directly in front of you, with the Carriage House and stables to the left of it. 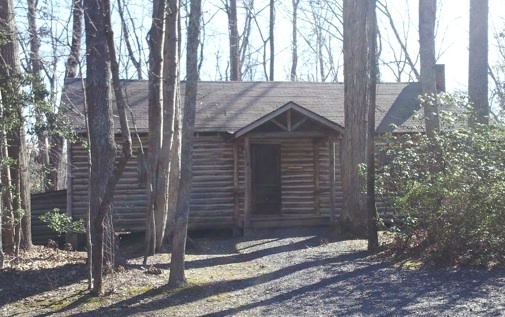 You'll also see an "outhouse" on your left which is outfitted as a woodworking shop with living quarters. These were not used as bathroom facilities, contrary to their name. There are four of them, one on each corner of the Great House, which is an absolutely incredible building! Again, come see for yourself as picture-taking inside is not allowed. The Great Hall with it's 17-foot ceilings is a must see! From this room, looking out the front door you see rolling countryside in front of you and the Potomac River with St. Mary's County, Maryland in the distance. Such an incredible view! It's just breathtaking. 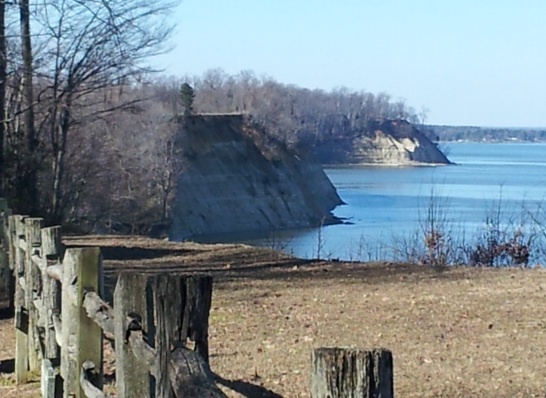 I checked out the latter, then took a drive out to the immense cliffs that tower some 200 feet over the Potomac. 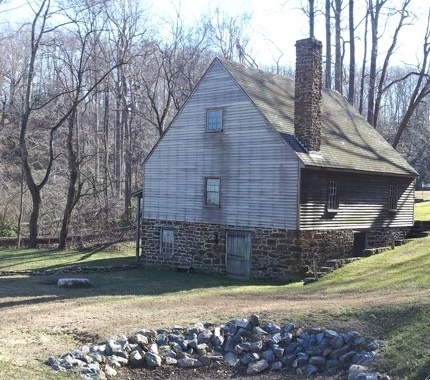 After that I drove down the trail to the Grist Mill, which is in a very picturesque setting with a beach, and a pleasant waterfall on the hillside opposite the mill. There are nature trails here for hiking, and picnic areas too. I'm looking forward to a return visit, possibly in the springtime when the ornamental gardens are in bloom. 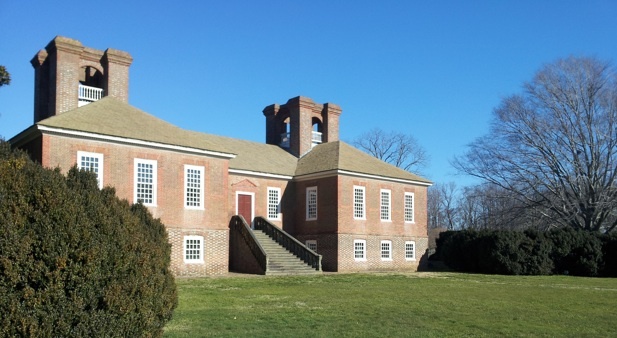 The Lee family of Virginia called the Northern Neck home and built Stratford Hall in the 1730's of bricks fired from the clay soil on the premises. Richard Henry Lee, son of Thomas Lee, co-wrote the Westmoreland Resolves, which proposed American independence in 1766 in protest of the Stamp Act. Richard and his brother Francis Lightfoot Lee were the only two brothers to sign the Declaration of Independence. 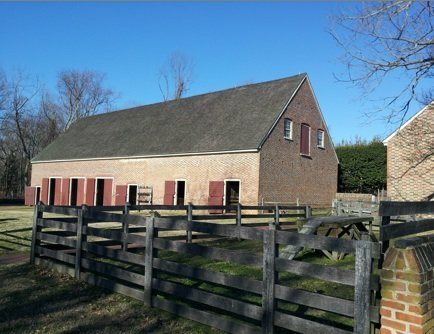 The last Lee to survive to maturity, Robert E. Lee, was born at Stratford Hall on January 19, 1807. There are overnight accommodations at Stratford Hall. They offer guest houses (Cheek and Astor) as well as numerous rental cabins. 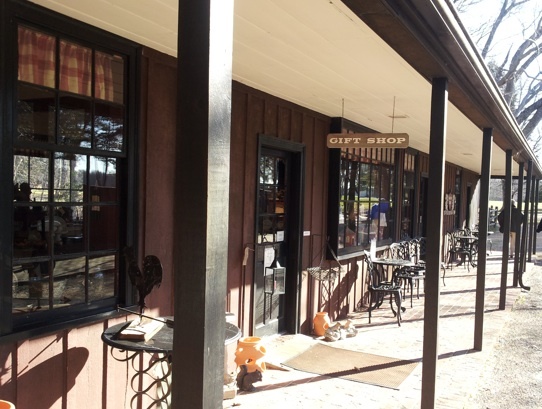 The plantation store has preserves, honey, peanuts, sauces, dips and more with the Stratford Hall emblem on the label. There are also a multitude of books available for sale here, including L.B. Taylor's Ghosts of Virginia series and many history books on Westmoreland County and the surrounding area. This is in addition to all your typical gift shop fare. Stratford Hall's Thanksgiving Dinner is a sell-out every year, so you must make your reservations early if you'd like to go. The dining hall also has a Sunday Brunch in season. Stratford Hall has domestic animals like horses. In addition, there are viewing opportunities on the seven different nature trails for wildlife such as bald eagles, white-tailed deer, squirrels, rabbits, fox, beaver, possum, and wild turkey. The nature trails range from easy to difficult and offer spectacular views. Maps are available at the Visitor Center. Fishermen can try their luck in the Mill Pond. From Easter Egg Hunts to bird watching lectures, to star-gazing parties, to rain-barrel making workshops, there's always something going on, during all times of the year. 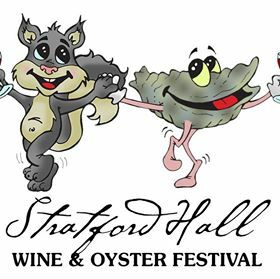 In September they hold a huge Wine & Oyster Festival! Keep an eye on our events calendar for details on upcoming events. Directions: From Route 3 near Montross, turn onto Route 214 and follow to entrance on your left. Nearby are Westmoreland State Park and George Washington Birthplace National Monument.